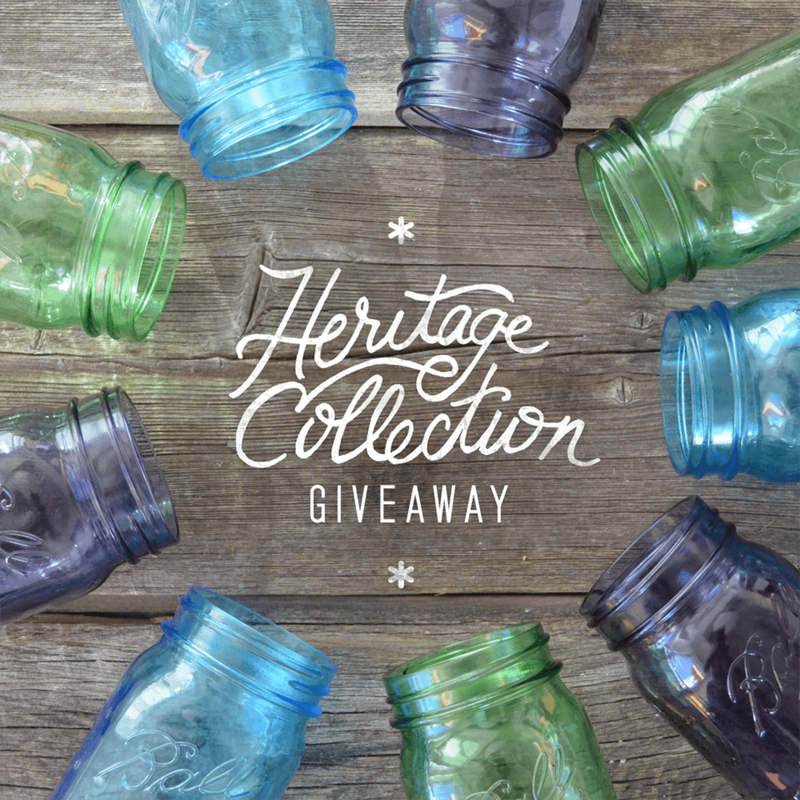 Now you all know that I’m a huge fan of popping anything and everything into a jar around here-gifts, recipes, even my office supplies are stored in jars! So you can imagine how excited I was when I was invited to participate in Ball Brand’s 25 Days of Making and Giving! 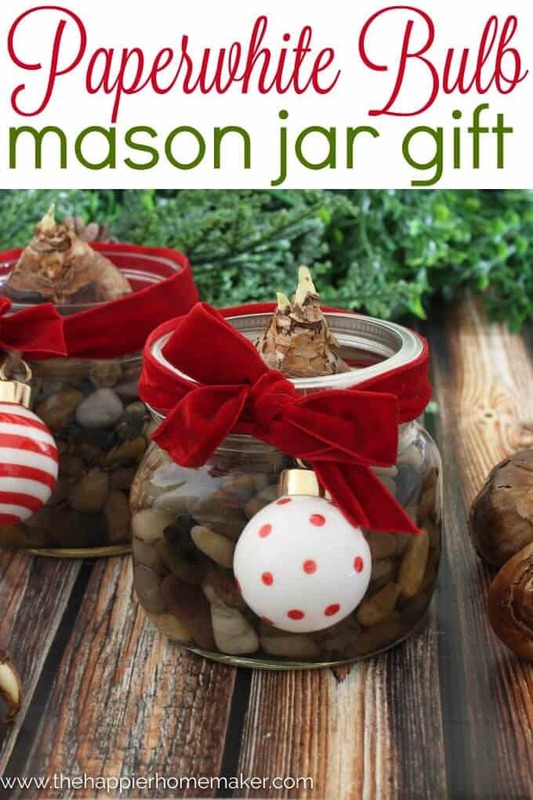 I came up with this very easy, affordable, and outside-of-the-box Paperwhite Bulb in a Mason Jar gift and have been tickled with how it turned out! 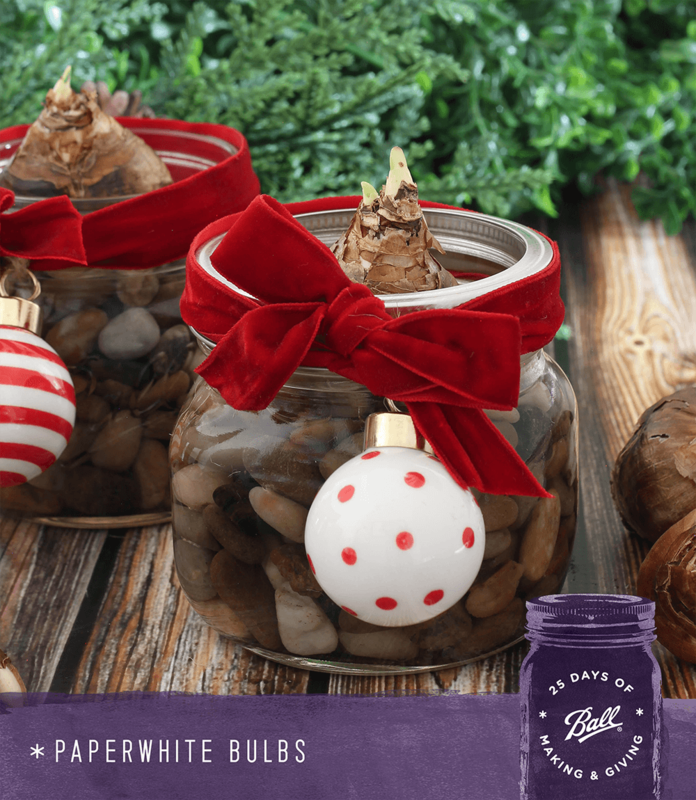 This is one of the easiest DIY gifts I’ve posted to date-simply fill a Ball® Wide Mouth Pint Jar with pebbles (any of their wide mouth jars works well for this) and nestle the bulb on top. 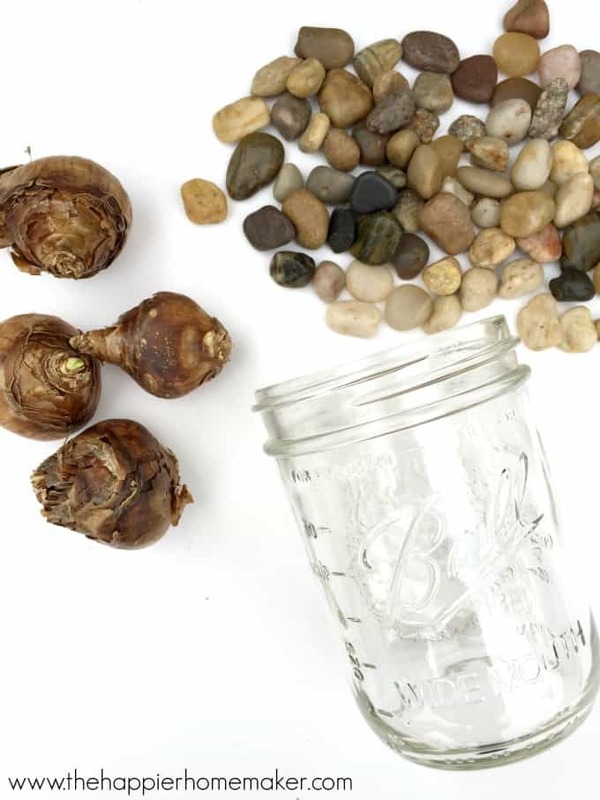 If you’d like to let the bulbs start growing before gifting fill the jar with water just to the base of the bulb-you don’t want it to cover the bulb itself, just barely touch the bottom. Then place the bulb in a sunny location and watch it grow! I added some velvet ribbon and a mini ornament to jazz it up for gifting! 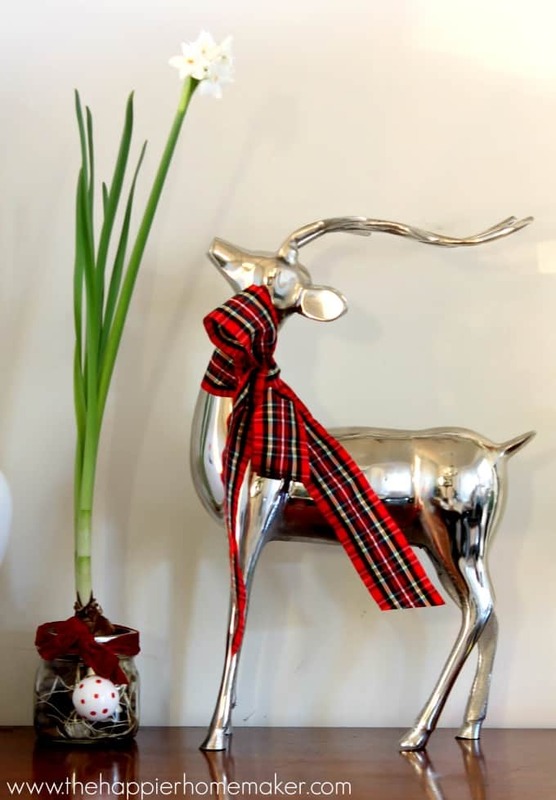 I love this idea because it is such an easy gift to make and easy flower to grow-what neighbor or teacher wouldn’t welcome some beautiful paperwhite flowers this winter?? My boys really enjoyed watching our paperwhites grow-seeing the roots work their way through the pebbles and watching the stalks shoot up then, of course, seeing those pretty blooms! What kind of bulbs are these? Thanks! Do you fill the jar with water? Or just the pebbles?